My first portrait of Russell, taken in October 2011. His eyes hold a certain depth of sadness that I can’t define. Or perhaps his eyes simply hold stories of hard times or too many good times, or wisdom that comes with aging. Russell Mattson, St. Paul, Minnesota, native and owner of Chandler’s books in the Mississippi River town of Stockholm, Wisconsin, seems a free spirit, a character, a former hippie type. 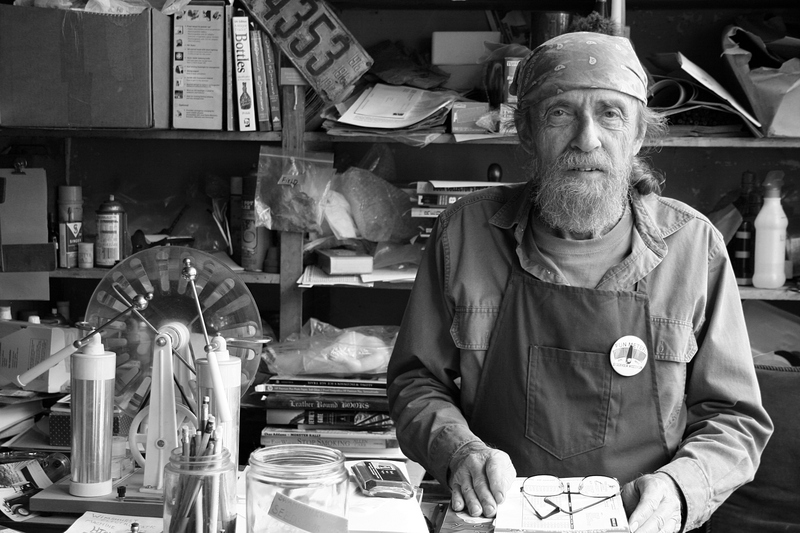 I first met him in October 2011 at his cluttered bookstore along Stockholm’s main drag. I learned that he’s an amateur photographer, a candle maker, a car nut, a lover of Monarch butterflies and, clearly, a bibliophile. Russell three years later in October 2014. Last fall I revisited Stockholm and Russell. I found him behind the counter of his book shop, the same blue print do-rag bowling his head, the same FUN METER button pinned to his apron. Russell was still offering customers free milkweed seeds to maintain the Monarch population. Monarch larvae feed exclusively on milkweed, making the plant essential to the butterfly’s survival. Personalities like this shopkeeper intrigue me for their individualism, their eccentricities, their uniqueness—all of which are synonyms really. 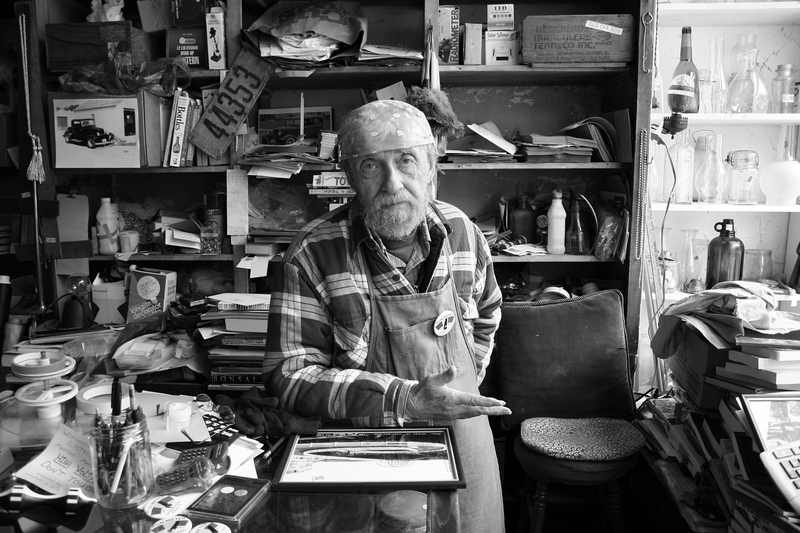 The Russells of this world offer interesting portraits, interesting conversation, interesting studies in small town life. I find a certain hope in meeting individuals like Russell who care about something as simple as Monarch butterflies.